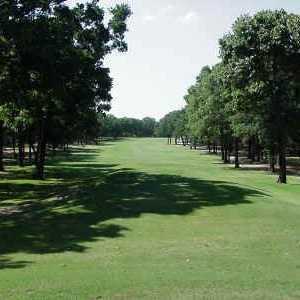 From the tips, King’s Creek can play particularly tough because of the prevailing winds off the shores of Cedar Creek Lake. However, on calm days this course can be had, since the layout is fairly basic and features water on only six holes. In the late 1980s, the course became known for its improving condition, and that reputation has held true over the years. The front nine is shorter and a little easier than the front, its toughest hole being the 200 -yard No. 3 over water. No. 14 typifies the longer back: a 576-yard marathon with water on either side of the fairway. Getting there : From Dallas, take I-175 south, then turn right on Hwy. 274. The course is 2 miles down the road. Sucked big time. Water the greens please! Practice facilities are great, range, putting green, and small 35 yard chipping area. Greens were just vericut and running great and true. Course was in great shape and very green after all the rain. Very well manicured. Enjoyed the course, and the bar food and employees were great. A difinte place place to vidit. The Thursday nite steak was awsome. Will return . Great country atmosphere, lots of work done to improve course in the last 3 months, 50 trees trimmed and cut, new sand in all the traps, greens are nice and roll smooth. Have a tee box for every age group. They hold 2 open tournaments a month. Thursday night steak night, Friday nights live entertainment, and Saturday nights ribs and fries. Staff is great and the prices are more than fair. A course worth visiting. The course looks great! Everything is clean and very nice inside the clubhouse and bar. The staff are all nice and professional. They have nice clean rooms upstairs if you want to make it a stay and play kind of thing. I did and it was great! They do a B&B type thing as well. I stayed for a week. So I was there for Thursday steak night and the steaks are amazing! Its a big fun cookout every Thursday. Its really a place worth playing at and worth the money.